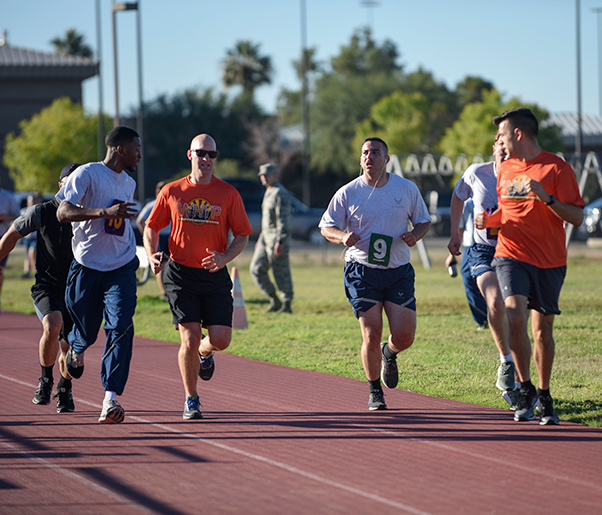 We Have Your Pace members pace a U.S. Air Force Airman during the run portion of a physical fitness test at Davis-Monthan Air Force Base, Ariz., Oct. 25, 2018. WHYP is there for those who struggle with and want to improve run times for physical fitness tests. With their heart pounding, lungs burning, leaden feet and heavy legs, thoughts of wanting to stop cross many runners’ minds. To overcome these thoughts, being surrounded by others that give encouraging words can help. We Have Your Pace is a program comprised of individuals who want to help others succeed at becoming better runners by creating a community of people who actively motivate one another. “The part I enjoy most about running is when I’m encouraging someone else,” said Master Sgt. Marcus Sydow, 355th Operations Support Squadron Airfield Operations Flight superintendent and founder of WHYP. From the very beginning Sydow knew he couldn’t operate WHYP by himself. He would spend time on the track running and take notice of people who weren’t only fast but also had a positive attitude. It was at the start of WHYP where Sydow met Special Agent Nicole Suss, Air Force Office of Special Investigations agent, who soon became in instrumental member in getting WHYP underway. She would help get the word out and recruit others into the group. 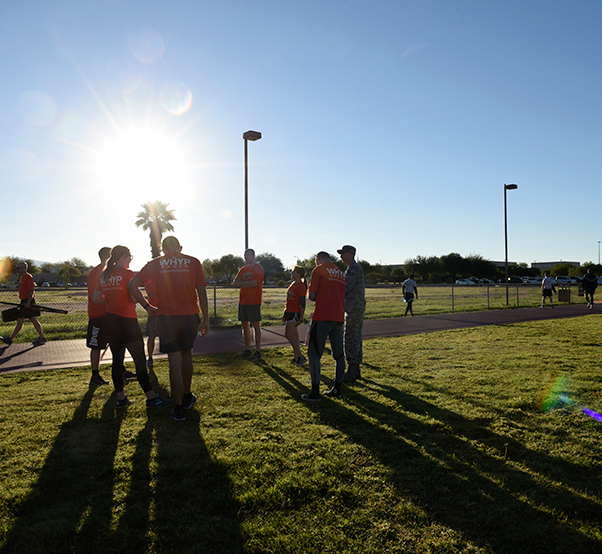 We Have Your Pace members meet prior to running at Davis-Monthan Air Force Base, Ariz., Oct. 25, 2018. WHYP holds group runs three times a week and is open to all members of the Davis-Monthan community. “We all have a similar mindset, the same goals, and a desire to help each other,” Suss said. To get the word out, Sydow sent emails to people who showed interest. Airman 1st Class Marielle Verbeeck, 355th Communications Squadron radio frequency communications technician, first heard of the group through these emails and thought it would be a good opportunity to help improve her physical fitness test score. Although WHYP was founded by military members, it’s open to the entirety of the Davis-Monthan community. 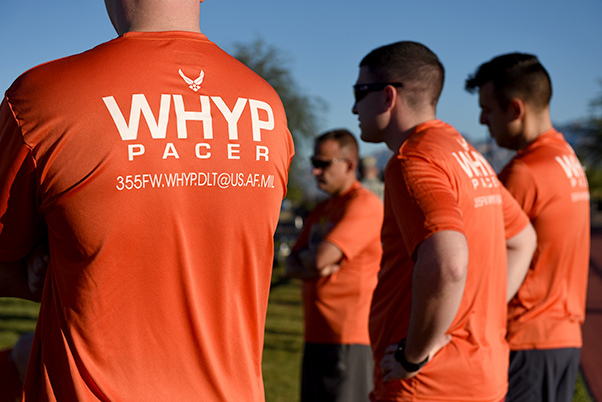 Anyone who may want to seek WHYP’s help are encouraged to attend self-paced group runs which are held three times a week on Mondays at 6:30 a.m., Tuesdays at 4 p.m., and Fridays at 7 a.m.
We Have Your Pace members get together prior to running at Davis-Monthan Air Force Base, Ariz., Oct. 25, 2018. WHYP is comprised of individuals who want to help others succeed at becoming better runners.